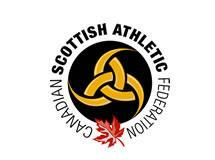 The CSAF Board is comprised of Canadians involved in the Scottish Heavy Events as athletes, organizers, retired athletes and promoters. Board members are elected in staggered, 2 year terms such that about one-half of the Board is subject to election at each Annual General Meeting. From this Board, officers are elected from among themselves. Those positions (1 year terms) are: President, VP, Sec, Tres, International Rep and any other portfolio required on an ad hoc basis.